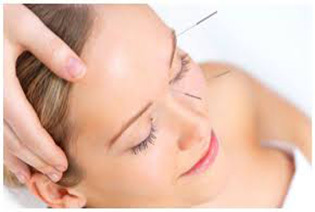 Acupuncture is the stimulation of specific acupoints along the skin of the body involving various methods such as the application of heat, pressure, or laser or penetration of thin needles. 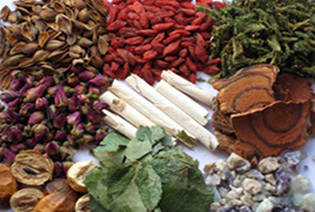 It is a form of complementary and alternative medicine and is a key component of traditional Chinese medicine (TCM). According to TCM, stimulating specific acupuncture points corrects imbalances in the flow of qi through channels known as meridians. It is among the oldest healing practices in the world, which exists for about 5000 years. 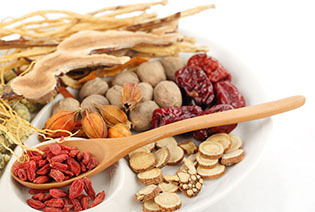 As part of traditional Chinese medicine, acupuncture aims to restore the body? ?s natural balance and maintain health through the stimulation of specific points on the body. Acupuncture is based on a concept of balance and seeks to cure the causes of illnesses rather than symptoms. It involves the insertion of extremely fine, pre-sterilized, single use stainless stell needles at predetermined strategic points on the body surface. The use of needles is virtually painless. The formulas in use today are over 3000 years old, so they have been well tried and tested. 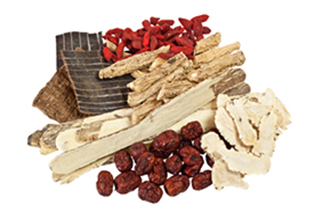 The TCM practitioners prescribe combinations of herbs specifically suited to treat you and your condition. The herbs are cooked and taken as a decoction <??tea? ?> or taken in tablet form, to get to the root the problem. Herbs can treat all sorts of diseases and can balance ??yin?? and ??yang?? of the human body in a holistic way and can be used for health protection. People can live longer by taking herbs. Acupressure may be effective at helping manage nausea and vomiting, for helping lower back pain, tension headaches, stomach ache, among other things. It may probably not be as effective as acupuncture, but some claim it provides temporary relief. 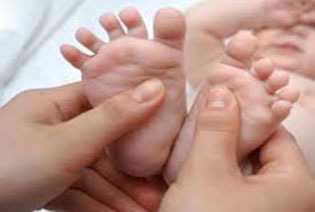 Reflexology started to be used by both the Chinese and ancient Egyptians thousands of years ago. 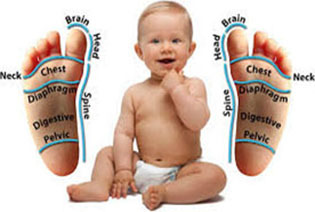 It is based on the belief that certain points on the feet or hands are connected to specific organs, glands and body parts through energy channels. It? ?s a method of diagnosing problems and treating them through massaging certain parts of the body, especially the feet and hands. In reflexology, pain or stress felt in one part of your body can be relieved by putting pressure on another, connected part of the body. By putting pressure on points of your feet, the reflexologist can diagnose health problems in other parts of your body and also treat them. Reflexology is a unifying theme is the idea that areas on the foot correspond to areas of the body, and that by manipulating these one can improve health through one’s qi. Reflexologists divide the body into ten equal vertical zones, five on the right and five on the left. Concerns have been raised by medical professionals that treating potentially serious illnesses with reflexology. Once the suction has occurred, the cups can be gently moved across the skin (often referred to as “gliding cupping). The suction in the cups causes the skin and superficial muscle layer to be lightly drawn into the cup. Cupping is much like the inverse of massage – rather than applying pressure to muscles, it uses gentle pressure to pull them upward. For most patients, this is a particularly relaxing and relieving sensation. Once suctioned, the cups are generally left in place for about ten minutes while the patient relaxes. This is similar to the practice of Tui Na, a traditional Chinese medicine massage technique that targets acupuncture points as well as painful body parts, and is well known to provide relief through pressure. Like acupuncture, cupping follows the lines of the meridians. There are five meridian lines on the back, and these are where the cups are usually placed. Using these points, cupping can help to align and relax qi, as well as target more specific maladies. By targeting the meridian channels, cupping strives to ? ?open’ these channels – the paths through which life energy flows freely throughout the body, through all tissues and organs, thus providing a smoother and more free-flowing qi (life force). Cupping is one of the best deep-tissue therapies available. It is thought to affect tissues up to four inches deep from the external skin. Toxins can be released, blockages can be cleared, and veins and arteries can be refreshed within these four inches of affected materials. Even hands, wrists, legs, and ankles can be ? ?cupped,’ thus applying the healing to specific organs that correlate with these points. Moxibustion is a technique in which a cone of mugwort, is placed on or above an acupoint or affected area of the body. The cone is then lit and burned, and is usually removed before burning the skin. Moxibustion is used to strengthen the body’s vitality and stimulate its natural capacity to heal and can be used to treat various diseases, disorders, and pain. Acupuncture and Moxibustion complement each other to form one mode of therapy, much as two strands of fiber woven together form a rope. The therapeutic effect is boosted complimented when both forms of treatment are used together. There are many benefits to Moxibustion Therapy. Clinically it increases blood cell counts especially that of white blood cells which strengthens the immune system. The heat produced from the burning moxa penetrates deeply into underlying tissues improving circulation and helping to reduce both pain and inflammation. If done properly, the heat of the Moxibustion can penetrate into the core of the pain location and has results far surpassing that of pain medication. It requires patience, but with long term application of Moxibustion it is possible to revitalize tissue that has had almost irreversible damage. Our Ear Candle is a natural system which derives from an ancient Chinese tradition. This simple and safe method causes where it softens and loosens old and hardened ear wax, helping to break up wax process enables the warmth to gently massage the tympanic membrane and stimulate the ear, nose and throat so that the sinuses can be relieved. 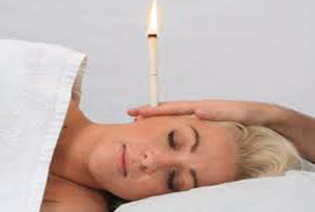 Ear candle treatment is a relaxing and soothing experience. An interesting “crackling”sound can be heard as the candle is burning. Each candle may take 6-8 minutes to burn down to the flame-breaking ring, where the candle is then removed and extinguished. Facial Rejuvenation Acupuncture (also known as Cosmetic Acupuncture) is an effective, non-surgical treatment to reduce the signs of aging. 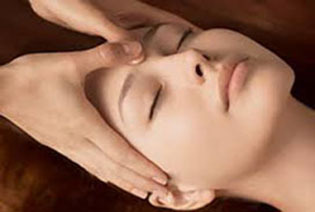 It is based on the principles of Chinese Medicine, which involves the insertion of very thin disposable needles just under the skin on the face and body where needed. 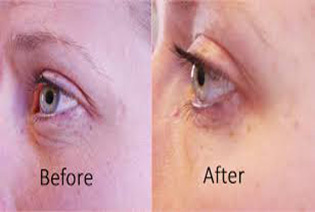 This specific insertion will increase the local circulation to the face and stimulate collagen production, which helps fill out fine lines and give firmness to the skin for a healthy, glowing complexion. 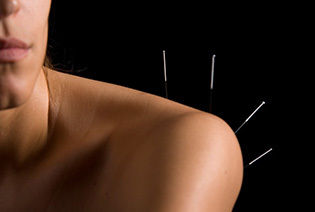 Acupuncture has been used for thousands of years to treat many conditions and illnesses. The effectiveness of acupuncture has been related to the manipulation of the energy points on the body to balance and to remove blockages in the meridians (energetic pathways), in order to achieve health and to prevent diseases. 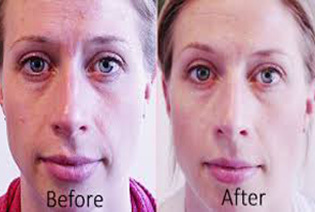 Facial Rejuvenation Acupuncture has attracted great attention in the last few years. It used to be a treatment only for the rich and famous in Hollywood, but now everyone wants the royal treatment. A 1996 report in the international journal of Clinical Acupuncture reported that among 300 cases treated with acupuncture for facial rejuvenation, 90% has marked effects with one course of treatment. The effects included: more delicate skin, improvement of elasticity of facial muscles and tone, brighter complexion and overall rejuvenation.